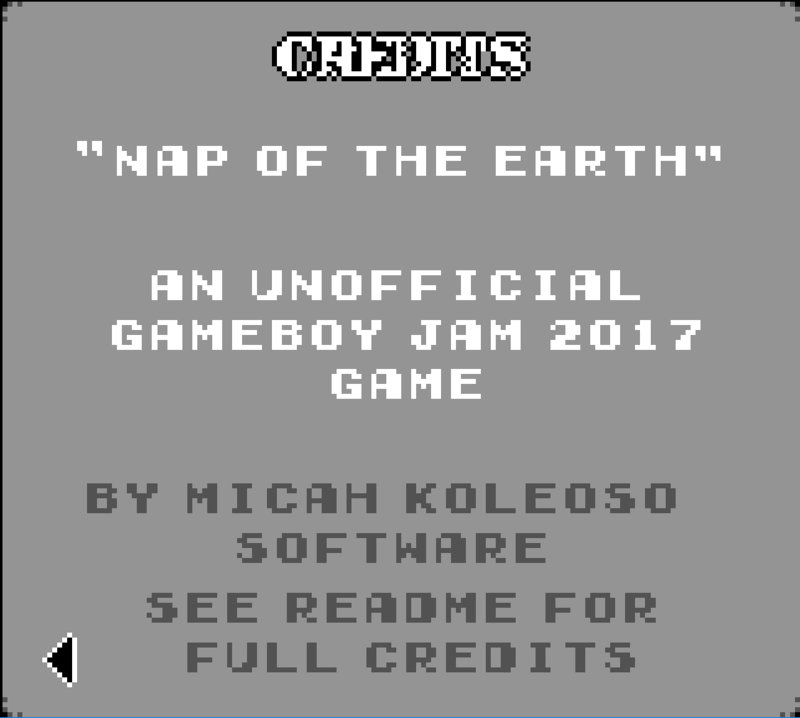 Developed for the Unofficial Gameboy Jam (https://itch.io/jam/unofficial-gbjam1) running 2nd to 17th September, 2017.
v1.0 is the original Jam submission. 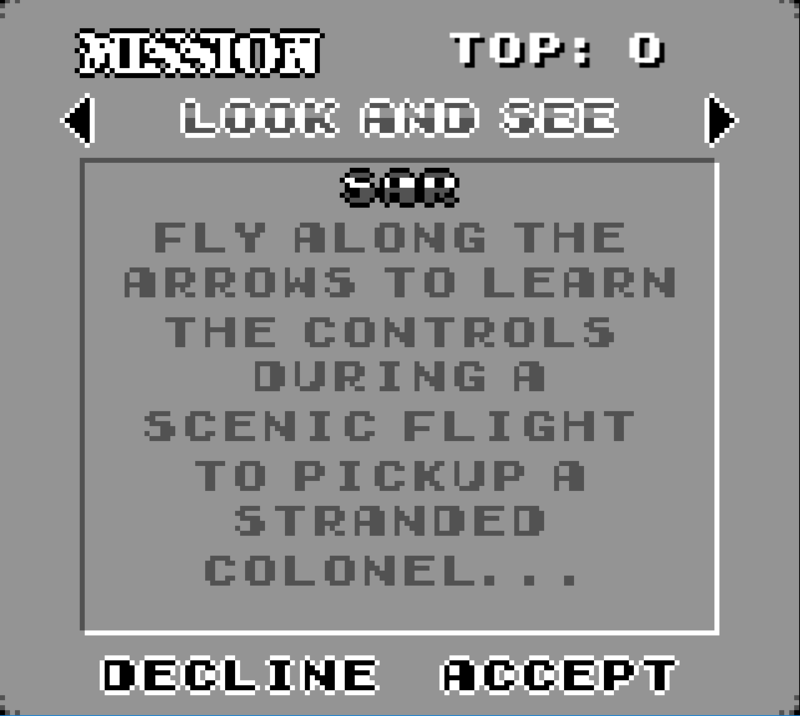 - Implemented mission win/loss panels depending on type of mission end. 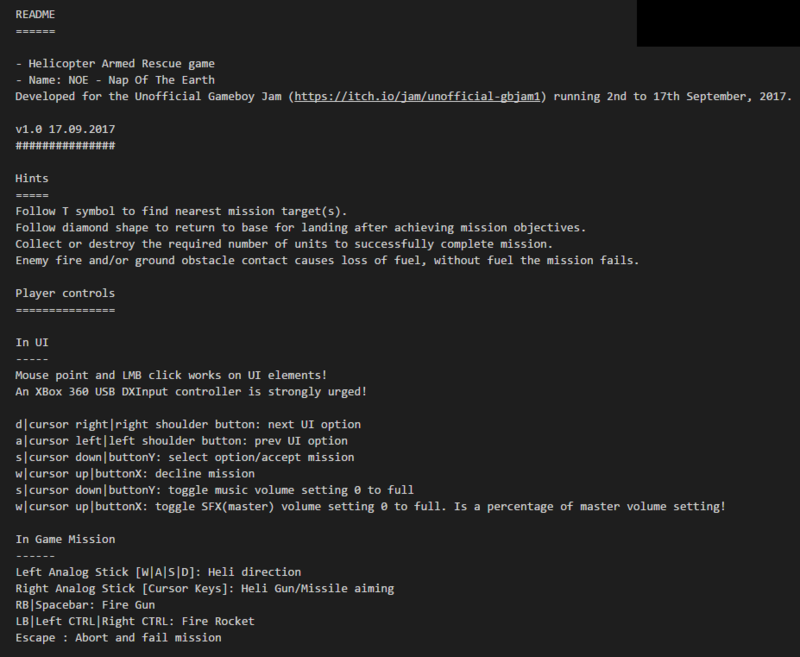 - Implemented info screen at start to inform on design for twin stick gamepad use. 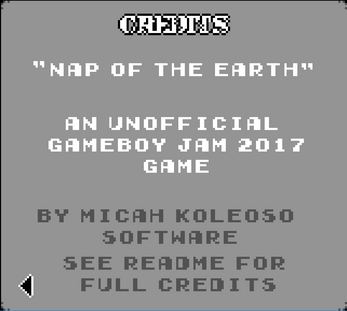 - Added map objects variations and modified level designs. - Enlarged player rocket firing arc from 30 to 60 degrees. 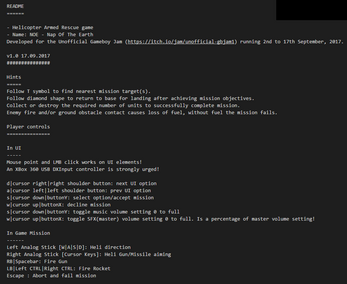 - Refactored code for further development. 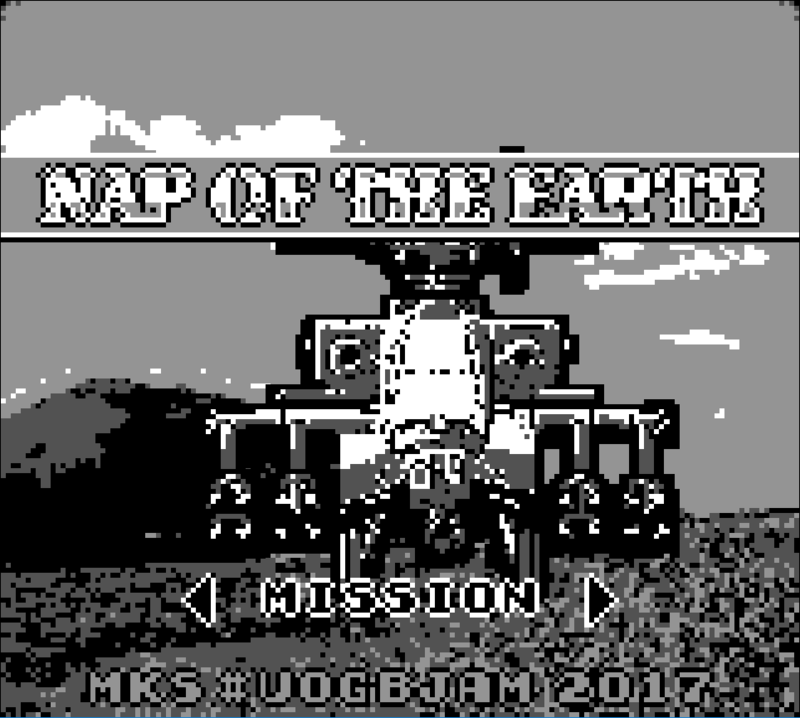 - Ported to macOS with gamepad support. Win32: XBox 360 USB/wireless controller macOS: bigben interactive controller with adapter, Playstation 2 controller with adapter. 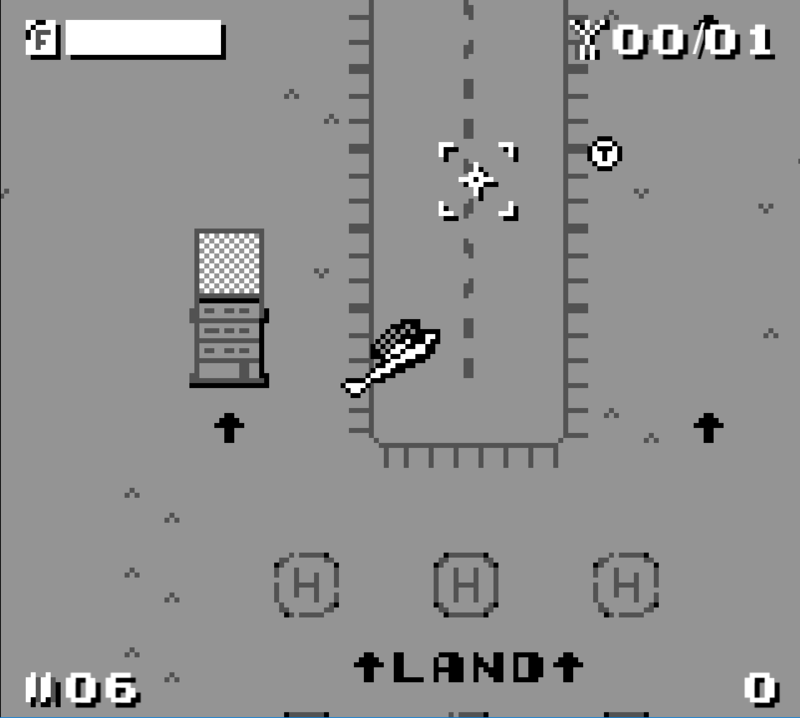 A DXInput compatible gamepad, e.g. the XBox 360USB Controller is strongly urged for the designed gameplay experience! Follow T symbol to find nearest mission target(s). 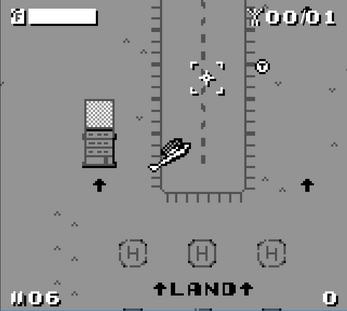 Follow diamond shape to return to base for landing after achieving mission objectives. Collect or destroy the required number of units to successfully complete mission. 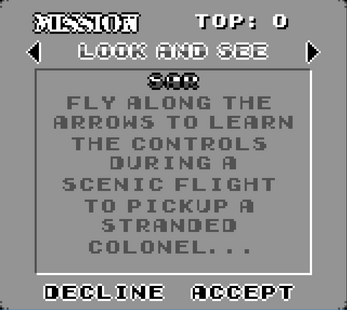 Enemy fire and/or ground obstacle contact causes loss of fuel, without fuel the mission fails. 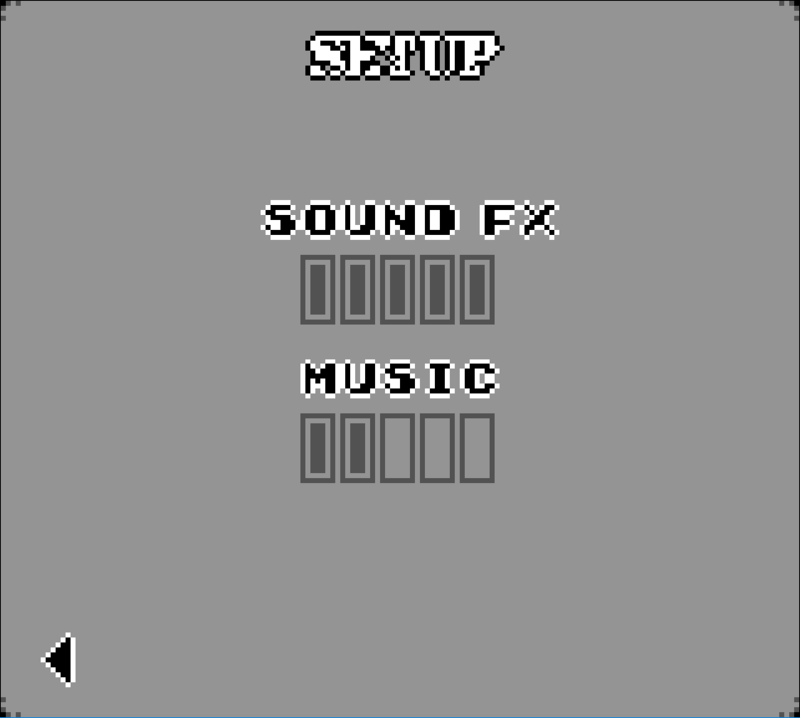 Mouse point and LMB click works on UI elements! An XBox 360 USB DXInput controller is strongly urged! 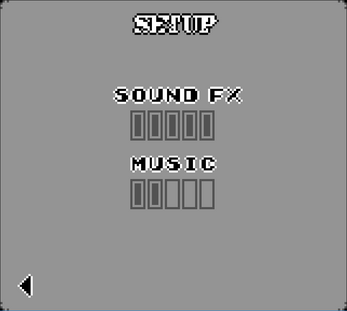 w|cursor up|buttonX: toggle SFX(master) volume setting 0 to full. Is a percentage of master volume setting!